Check out Screechers Wild, based off the online animated show - for more information on the action filled show visit alphatoys.com. 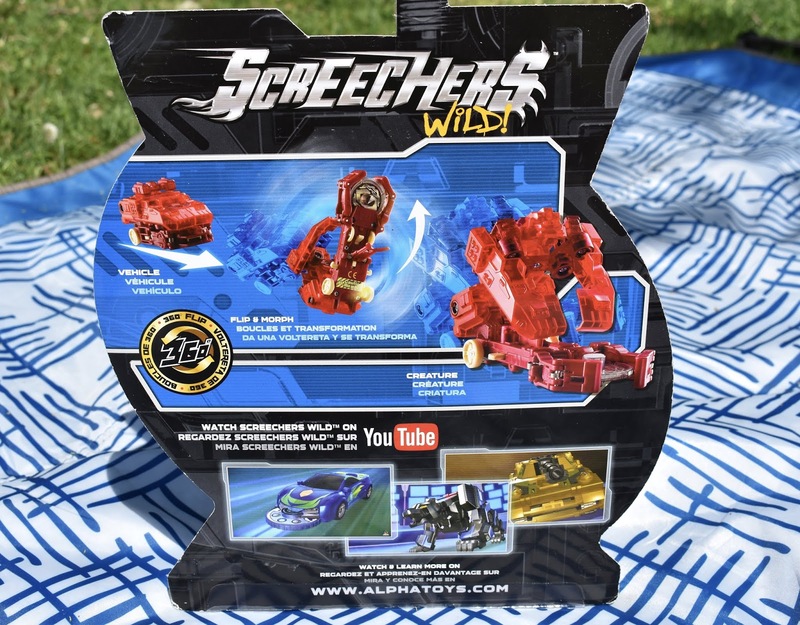 These toy vehicles transform into creatures with explosive 360 degree flip morphing action. They come with special discs that assist them in the flipping transformation. There are over 6 different characters to choose from, keep reading to see it in action. Young kids get a thrill out of the transformation. My youngest (3) loved playing with them as vehicles and my oldest (9) had fun showing him how they transform. Great for imaginative play, helps assist kids in motor skills as they master the flip action. You align the vehicle and push them towards the discs to see it flip and transform. There are many to collect and choose from. 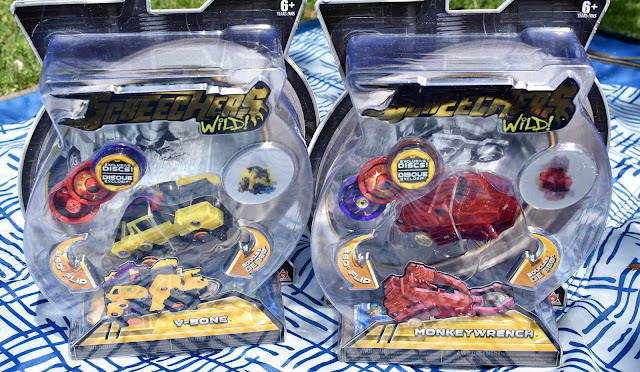 Wave One includes RevAdactyl, Stingshift, Nightwear, Nightbite, V-Wrex, MonkeyWrench or Gatekeeper. My kids had fun checking out the V-Bone and MonkeyWrench Screechers Wild. Great for fans of the show as they'd be able to associate them with the teams they are apart of. For those not yet a fan of the show, it's still a fun and different vehicle that flips and transforms.